Masterful storytellers are akin to quilt makers, it is just that their woven products are delivered through the spoken words. Each narration engages listeners at different levels. 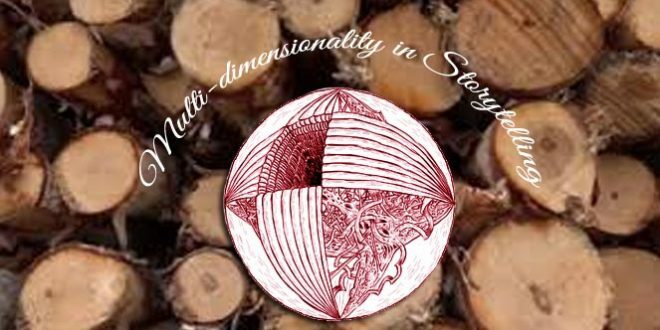 The crux of the matter is to be aware that there exist multi-dimensional levels of storytelling. Such awareness will inevitably free us from that one-dimensional way of viewing/listening to stories. It also helps to keep in mind that humor, satire, and sarcasm are always par for the course with Saleh Gadi Johar’s narrations. In fact, if one were to follow the theme of humor, satire, and sarcasm in each episode that alone will reveal an interesting narrative. 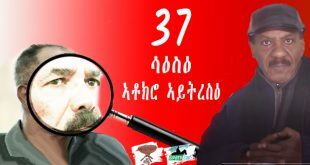 In my previous article, HERE I attempted to analyze speeches of PM Abiy Ahmed and that of Eritrean regime’s perspective using textual and contextual analysis. This time, switching gears, I will share my interpretation of the three narratives of human stories that Saleh Gadi Johar (SGJ) presents in Negarit #11. 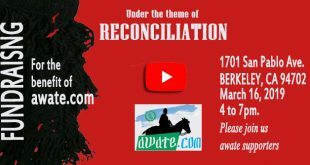 The common theme that emerges from this particular episode not only depicts how politics implicates human condition, but that it can be one that makes or breaks the spirit and the soul of a nation. A storyteller’s ability to hold his audience riveted rests in that unique ability to understand human pulsations at intellectual, emotional, and visceral levels. It is when these capacities are tapped the listener reaches to that state of equilibrium, that space of equipoise, as it were, transformed by the story so much so that all of his faculty are engaged. This, of course, one cannot expect to happen at every junction for the listener. Some stories do it some don’t; depending on the individual’s mood when listening to the story, the relevance of the story, for a myriad of other reasons. The caveat of some sound aids can also appeal to the audiences’ acoustic sensibilities as well as visual ones that may trigger certain reactions. Each narration follows a narrative strategy where the importance of the subject matter increases both in substance and in its evolutionary schemes. The first narrative starts with the diaspora’s current political activism or predicament as illustrated through Amb. Andebrhan. So, the narrator tells a story of the evolutionary process of a Forum for National Dialogue, better known as Medrekh. Out of the three stories, this is the less consequential one in substance. A good storyteller warms up his listeners with a less sanguine subject matter by bringing a less consequential story. So, from this viewer’s standpoint, the first story deals with the internal dynamism of Medrekh that viewers are not privy to and could only take at a face value. Using images that one sees and the sounds of a cash register ringing that one hears as the story is narrated impacts viewers differently. Depending on one’s sensibility and mood, this may not comport with some viewers and it is a risk, obviously, that the narrator is willing to take – And that comes with the territory of public storytelling. Another risk, of course, is the person being implicated in the story will find it offensive or those who are affiliated with Medrekh might be offended by it. But, that’s the price public figures have to be willing and able to pay. Thus, the first scrumptious narrative is a lightweight treatment the narrator chose to give because it is inconsequential to the larger message being conveyed in the subsequent two narratives. 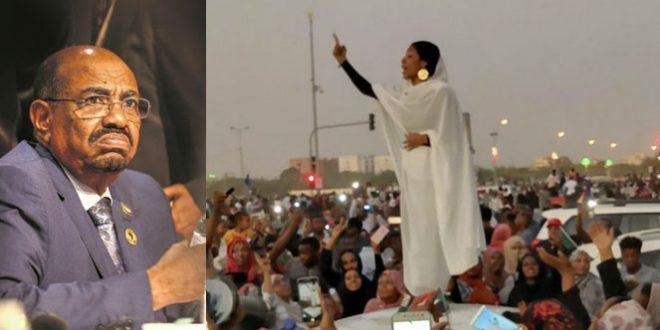 What viewers gain from the first narrative is the nature of Eritrean politics is such that it demands political organizations to position and reposition themselves to stay relevant. This process can be taxing, especially in the Eritrean political landscape and that one has to be willing to withstand a barrage of political tsunamis, seemingly without notice. This story is about Eritrea’s current predicament as illustrated through a Major General who happens to have a name called Philipos Woldeyohannes. Saleh Gadi Johar narrates about the General as one of the people he came to know in the context of the struggle for Eritrea’s independence. A viewer who is unable to go beyond the acquaintances will be one who epitomizes what it means to be stuck in one-dimensional receptors akin to a viewer who can’t go past the person named in the first story. At any rate, this second story is more consequential although it may have a similar narrative arc to the first. In this narration, a viewer will notice an evolutionary process at a close range. This evolutionary process weighs heavily on the narrator. Thus, he searches for a way to understand that state of human nature. This appears to have burdened the narrator, but he doesn’t see how to disburden himself from it other than wishing to someday interview the man and ask him some questions. The implication here, of course, is how is that an otherwise brave man to a point of becoming Major General ends up becoming a toy and a victim to a one-upmanship political power game by an unscrupulous man at the helm who is destroying Eritrea and its people along the way. The story ends with the narrator’s curiosity or wishes to really have a chance to ask the General, what has come of the country and its people since independence? What would the General’s sense be? Where does the General draw the line between the country and the people? What can be surmised from this second narrative is this: Human condition teaches us that some people lacking moral clarity and principles resort to the moral compass that shifts with time. But the narrator does not go that far to tell his viewers of this until he personally meets and talks with the man, which may never happen. The story is left unresolved from the standpoint of the master storyteller but viewers can draw their own conclusion. The 3rd story is the height of the three narrations that a listener begins to sense will be an ominous one, because a pattern has already been established by the first two narrations. Viewers are immediately keen to learn about 1993. 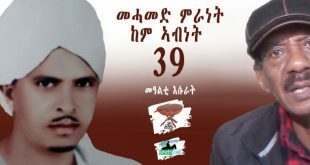 Members of Eritrean Liberation Front (ELF) were stationed in Ethiopia in opposition to the Eritrean People’s Liberation Front (EPLF) that brought the independence of Eritrea. The ELF was based in Sudan and Ethiopia to continue its fight for pluralism now that the country was liberated. Thus, ELF was actively opposing the regime in Eritrea in hopes of finding a way to participate in the Eritrean story as it wanted to be part of the nascent nation-state narrative. This story is invoked because of the peace talks that Ethiopia under PM Abiy Ahmed has initiated with the Eritrean regime on the 5th of June 2018. The narrator senses something seriously lacking in the current peace talks as initiated by PM Abiy of Ethiopia. The game of political oppression and exploitation are slippery slopes. Pestilence and erasures of history are part of the political games played on unsuspecting citizens. A justice-seeking individual is hyper-aware and chooses to err on the side of prudence rather than on the side of trusting politicians. This sense of restiveness is the cadence of one born to rebel for the sake of justice. He uses his Eritrean-given agency to speak up and speak out through storytelling. The activist for social and political justice in the narrator kicks in. He knows these games of politics all too well. He recalls in how in 1993 Ethiopia betrayed Eritrean activists. There was a security agreement between Ethiopia and Eritrea back in the early nineties, the storyteller pronounces. Ethiopia’s administrators of the time put all of these opposition groups in the old airport jail of Addis Ababa. 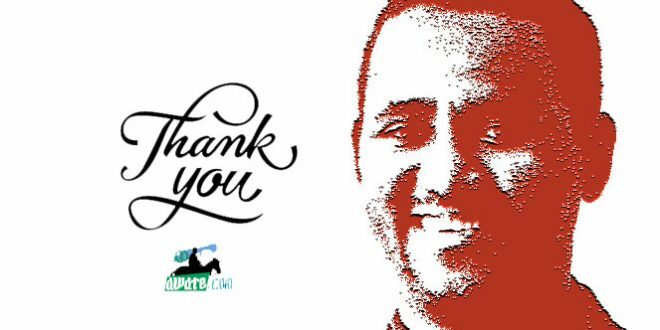 The unjustly imprisoned activists were released on a condition that they would go to some third countries. Soon after the old airport incident, Zakarias Nguse was gunned down in Desie, Wollo, Ethiopia. Gebrebrhan Zere was the next victim who was abducted as he was headed toward Humera, Tigray, Ethiopia. To date, nobody knows his whereabouts. Similarly, many more were made to disappear in Sudan. All this was done after the agreement between Ethiopia and Eritrea of the early 1990s under the same regime that’s in power in Asmara today. What will become of the Eritrean opposition groups in their thousands who are in Addis Ababa today? Would the 2018 peace agreement being worked out include these oppositions groups in the peace negotiations as it should? Will they be victimized again as the early activists were in the early nineties? 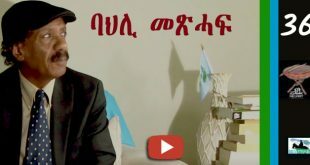 These are the obvious questions that the storyteller hopes his viewers not only begin to ask but make sure the safety of every Eritrean is assured just as has been the case of Ethiopian opposition activists. This is where the narrative arc hits the ground running. The narrator’s worry takes a deeply felt human condition that he sees looming to take a dark turn. “I worry”, he says, “what this agreement might unleash, especially, to those who do not subscribe to the Higdef’s [EPFDJ] doctrine”, the narrator states. From the narration above, what’s unequivocally verbalized is this: The narrator goes full throttle here as he shows the evil nature of Eritrean regime’s modus operandi. The Eritrean regime speaks of peace, on the one hand; and on the other, it wants to show a caring nation that wishes peace of its neighbor but not one of its own. Can a regime that never looks within leave others to live in peace? Ethiopia has been looking within to make peace with its people before looking to its neighbors. How does one expect for peace to reign in our region if each country is not willing to look within its boundaries and make peace with itself and with its people? Now, Ethiopia is speaking of peace with its neighbor. We all wish for that to occur. But, with the peace specter looming, there is not a single mention of Eritrean civilians’ well-being, safety, and peaceful life as any other. This, Ethiopians should understand: Any nation that does not espouse peace internally can never have peace with its neighbors. You’ve heard it in the speech [of 20 June 2018], all that was heard was the old and tired speech of Weyane this, Weyane that. Not a single uttering of peace from the man at the helm of political power in Eritrea. The man couldn’t bring himself to utter the word peace with our neighbors for the sake of peace. Nothing. His personal animosity with Weyane is being translated to mean enmity with all Ethiopia and Eritrea. The latter is being held hostage in this process. The episodes are giving viewers that storytelling can, indeed, reign supreme. The endless mythmaking Eritreans have ripe dispositions for are being counterpoised by the weekly stories. Mythmaking abounds in our region; conspiracies serving as fuel to that conspiratorial fire; all of these received with a one-dimensional mindset; that is just a perfect recipe for a lethal outcome; an outcome that we will continue to see if some of the reactions to these episodes are to be used as any guide. The master storyteller is fighting against one forceful optative from giving way to the indicative. For that, an accolade of the highest order is his to be had. 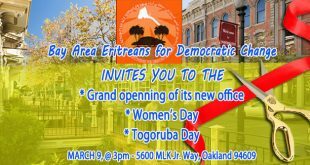 Dear Awatewwoch in USA including tplf-och and their supporters.My favorite PM will travel to USA to meet the Ethiopians diaspora. I invite all you to welcome him. You may say we are not Ethiopians. Good point. But i want you to show him you are part of the peace plan he has. This man brings only peace and openness. Eritreans dont be mislead by negative propaganda from tplf or anybody who gains from war. 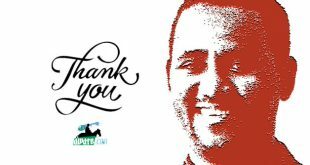 In fact welcome him with your crystal clear message that you are 27 year young country which wish a solid relationship with the new peaceful Ethiopia. You can even come up with demarcation now slogan loud and clear. It wont be taken as negative thing. . But welcome him and encourage him with this fresh peaceful message. He has brought peace all over Ethiopia. It is a miracle to what we were expecting a year ago due the development of ethnic poison to enslave us. Let us be neighboring countries like Norway and Sweden. Remember Norway was part of Sweden. Now look at them. Ethiopians have learnt how to see Eritrea as a new 27 years young country. Even people from my generation have learnt that Eritrea is an independent country. To avoid all these it could have been done a lot in 1991 or in 90s. You were new to run a country which declared its dependence from another county and we were new to to the idea of a country which was part of us started to be independent. When we came to this kind of new territory we needed matured guide/supervisor. I am not talking about politicians. I am talking about common people like me. Now this is the time to work on this part. People to people. Both of us must be smart not to aggravate what the Independence of Eritrea brought. Instead focus how the independent Eritrea contributes to the development and security of Ethiopia and vise versa. Let us not panic every time an Ethiopian talk about cooprioatn or unity. Thouth it is understandable why you are jumpy when we say unity it means as two independnt coutnry unite to solve their challange between them or arround them. That is all. When you are not sure maket it clear too. Yemane underlined the two siterly countries just to make sure the way he understood when pm Abyi said unity of Ethiopa and Eritra. Let’s make the bridge. Thanks for giving me the attention. If you need it that bad, look for it and you will find it and many more on YouTube. It was removed because of a violation of our posting guidelines. If you look at the bottom of this page, you can read the posting guidelines. I think this is the reason your hero disappeared the G15. What do you think? Connell: And there was talk of withdrawing from Assab? Petros: And Assab was a good thing because the commander there was smart – he withdrew in time. Petros: He withdrew from the 71-kilometer marker to 57. He defended his position and stayed there. Connell: Did he do that on his own? Petros: Yes, he was told to withdraw. Connell: Altogether? Back, how far? Petros: To withdraw to where he thinks he can hold his position. We know why tplf wants the constant war and control the war as mediator with whom it chooses to get leverage. They have 27 years expertise. It is a gold mine for greater Tigray. If You dont believe me, look what they accomplished by this state of war both ethnic based and against Eritrea. It is not both Ethiopian and eritran value. 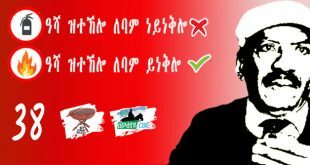 This devilish way is unique for tplf. They are different. Are you suggesting Ethiopia must risque its interest for the sake of Eritrean opposition which have no popular support in the first place? In short are you saying that the peace agreement between the current rulers and the ‘new’ liberated government of Ethiopia shall not serve the majority of Ethiopia? If it serves the majority Ethiopia, is it ok for Ethiopia to go ahead even thought the eri-oppositions against it? Are not we two independent countries? Dont you think it time now Ethiopia and Eritrea to stop meddling in each other business? Dont you think this meddling is killing both of us. I will never understand such a complicated relation ever!! Yesterday you translated and publicized a report from an “Eritrean Jihadist” group on your website. On the video it was showing that the Islamists were chanting and threatening Christians and non-Muslims. But then you withdraw the video and the article from your website. Why? I think somebody from your group advised you to do so. But you were already exposed. That is what I told you last time: “By now, most of the people know that you have a hidden agenda. Your agenda is already exposed. Now, your behavior shows that you are in a desperate, panic and nervous mode because of the Eritrean and Ethiopian government approaching each other. You are really a coward. Why you don’t stand by your words. 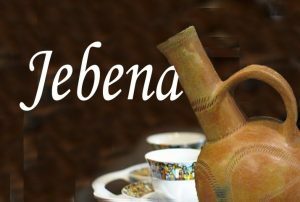 Behind the scenes (in reality) you are a Jihadist and you are not only against the Eritrean government but against the Kebesa Christians. 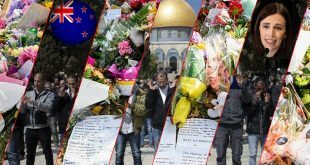 On the other side you play the “tolerant, the liberal and the supporter of diversity of religions”. But my friend, please know that you can’t play that game because you are exposed. Also, please be advised and don’t try to play with fire, it can burn you. You know it very well. You experienced it first-hand. FYI: Ethiopians and Eritreans are not going only to make peace about the border issue, but they are going to unite as one nation. They want to have a family reunification. It is all natural. As they said it: The reunification of a lost son with his mother. Be prepared for that. In this very day of Nostradamusque prediction of doom and gloom at Awate Forum, it is good that you came up with a seriously entertaining narrative from the recent days. I heard your fisca (fischio, whistle) and your hand-waving inviting us to come to and listen to stories from a story teller, already a legendary one. Can you see how good a story teller you yourself are? Let me stop and leave others to judge, otherwise I will end up becoming the story teller teller’s teller spoiler. I am afraid the political temperature right now is too hot for my fried-pan to handle let alone trying to dissuade others to come on this quiet neighborhood, I am afraid won’t do. This political train seems to have no auto-brakes that would slow it down. PM Abiy was warning the people – I think it was – in the Afar region. Hop on now or else you will miss it forever. 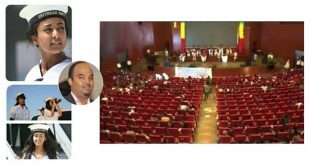 Before the PM Abiy Peace Train left the station several Afar groups had a Congress in Sweden that concluded yesterday in which they have successfully merged to create one coalition in diaspora. They will probably play a critical role in the up-coming negotiations that will ensue between Eritrean regime and Ethiopia vis-a-vis the Port of Assab. This PM Abiy’s bullet train is not only hard to slow down let alone to stop it, but is difficult to keep up with, I tell you. I appreciate your input though, bro. This is a master review that injects enormous energy to the massage the master storyteller wanted to transmit, in addition to being a focused message in its own right. Written and spoken stories are works of art that widen our horizon and enrich our faculties beyond the specific messages of whatever kind authors and storytellers intend. It’s the reviewers role to decipher the intricacies and sophistications the readers and listeners may not be able to appreciate and miss crucial parts of the substance. In my humble judgement, thus, this is valuable service this excellent review article has delivered. Relating the three themes SJ had narrated, and setting them in simplified contexts of the political and social discourse is no mean job. Thank you, sir. How very kind of you. One continuing issue that writers/storytellers/artists face is the potential of their message being misinterpreted. The recent example of Asmarino’s attempt at satire was met with confusion. In the written world, there were talks about putting some sort of a sign to let readers know when satire and/or humor is being attempted, you know, using the inverted exclamation point ( ¡ ) to indicate that what’s being conveyed is meant for humor purposes, but that kinda kills the intent. Once an artist has to explain humor and/or sarcasm and/or irony for his audience, would be ironic, wouldn’t it? But, that’s something they have no control over. They would just have to explain or in frustration they may just hang the towel, as it were. As artists, in this case, as a storyteller, I am sure SGJ could get disappointed in the kinds of responses he gets. That’s what prompted me to pen today’s piece and show what informs my understanding of when I hear storytellers conveying their narrative masterfully as SGJ does. Boy, the dessert is more delicious than the main dish. Let me divulge to you my little secret. I have crafted a way (hope you won’t hasten to discover it) to squeeze more juice from fully ripe fruits that make me so greedy and ask for the last drop in them. Thank you for being so generous and share your readings along the way to elaborate your ideas. You keep on reminding me about SJ’s useful humor. You know, one of the first reasons that attracted me first to his writing many years ago was a kind of ritual of intermittently flavoring his stories with funny Kerenite humor. Let me share with you one of them. In one of his article (don’t remember which) he told the reader about a certain Aboy (again forgot the name) who owned a service track. It had neither doors nor horns. I think it was sand or stones transport vehicle. When he drove down the road in town he had to peep through the wide opening of where the door used to be and shouted at loud voice to warn people to clear away from the road to the side. You know there no traffic laws or lights those days, and humans and animals shared the streets. Another one was about a scourge of SJ known as Ambes. He told us a lot about his relationship with that dog. They were actually undeclared enemies of one another. Ambes was master lord of his side of the street. SJ had to make detours to avoid the risk of battle. He knew such a battle was a lost cause before it began. Man, I second our Hails S, you are indeed a man of multiple expertise: story writing, storytelling and story reviewing and linguists in one. God bless you, brother.